This amazing buttermilk ice cream is a flavorful, creamy custard-based ice cream with the rich and tangy flavor of buttermilk. Serve this fabulous buttermilk ice cream with a fruity sauce or your favorite ice cream topping. Better yet, serve a scoop on top of a slice of apple pie or peach cobbler. This will quickly become one of your favorite homemade ice cream recipes! In a heavy saucepan, bring the cream to a simmer, stirring frequently. In a medium bowl, whisk the egg yolks with sugar. Whisk about 1 cup of the simmering cream into the egg mixture until well blended; stir back into the hot mixture in the saucepan. Cook, stirring constantly, over medium heat until slightly thickened, about 5 to 7 minutes. Do not let the mixture boil. Remove from heat and stir in the cold, well-shaken buttermilk and vanilla extract. Put the mixture in an ice bath or refrigerate the mixture until very cold, about 2 hours. Freeze in your ice cream freezer following manufacturer's directions. Transfer to a container and cover tightly. Freeze the ice cream until firm. 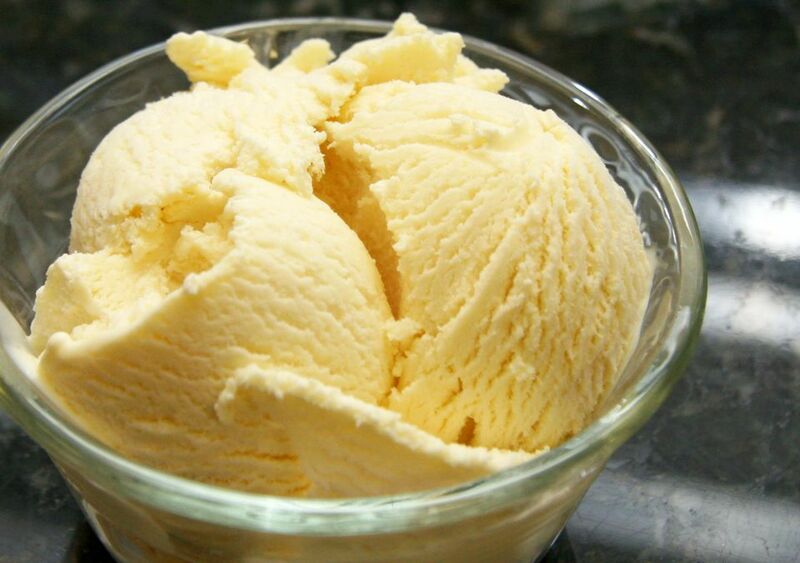 The ice cream may also be made with sour cream instead of buttermilk. If you like add-ins, consider mini chocolate chips or chopped nuts.